Advocacy has always been a central watchword for Solid Ground. Throughout our 39 years of providing for people’s basic needs, we have also addressed the political realities that create barriers for people to thrive. The more than 50,000 people who come to us each year are the true experts on poverty in our community. Their lives revolve around the challenges of living on less in an increasingly class-divided world. Twenty five years ago, low-income communities organized across Washington State through our Fair Budget Action Campaign and the Welfare Reform Coalition. Both were instrumental in passing the Seattle Housing Levy, creating the Molar Majority to fund adult dental care, and other groundbreaking efforts that get more people to solid ground in our community.Fair Budget eventually became the Statewide Poverty Action Network, bringing together leadership from low-income communities around the state to articulate a community-based agenda and run impactful organizing campaigns. Poverty Action and allied coalitions and agencies have been instrumental in protecting lifeline benefits, passing the Foreclosure Fairness Act, grading legislators on the racial justice impact of their work, and giving previously incarcerated people, teens and other marginalized populations training and support to reclaim their political power. This approach creates tremendous synergy. The personal becomes political as our advocacy in Olympia is strengthened by decades of direct service and the individual voices of people most impacted by policies. Case managers help identify trends and stories among program participants that seed efforts to make laws more responsive to the needs of people living on low incomes. At Solid Ground, we believe education is foundational to a better future. In addition to our partnerships to support literacy, skill building and leadership development in Seattle/King County schools, we actively work to close the opportunity gap between wealthier white students and those with lower incomes and students of color. Disenfranchised people – those experiencing homelessness, immigrants with limited English proficiency, and those who lack education or job experience – can all achieve their dreams if they have access to equal opportunity and resources. By bringing their testimony into the political process, Poverty Action and allies influence laws, policies and practices and set the stage for transformative, generational success. At Solid Ground, we believe our community can move beyond poverty and oppression to a place where all people have access to quality housing, nutritious food, equal justice and opportunities to thrive. We believe strong advocacy is a vital component of interrupting generational cycles of poverty. We believe effective advocacy starts in the personal narratives of our community. And we believe that successful advocacy secures long-term, positive changes in our society. Groundviews is Solid Ground’s quarterly newsletter for our friends and supporters. Below is our June 2013 lead story; visit our website to read the entire issue online. Renee K. Jones is a busy woman. She’s a single mom of two preschool-age girls. She’s in college full time, working toward a BA in Social Work at the University of Washington, having graduated with honors from Highline Community College. She also works 20 hours a week and volunteers at a domestic violence agency one day a week. On top of it all, she frequently speaks publically: to her legislators in Olympia, WA, to groups learning about the impacts of domestic violence – even delivering Highline’s 2012 commencement speech. But in the fall of 2011, Renee didn’t yet know the power of her voice. At the time, domestic violence had left her and her daughters homeless, living in transitional housing, and struggling to make ends meet. Then, through the Statewide Poverty Action Network’s advocacy training, Renee found that not only does her story matter, she has access to all the tools she needs to express it. At the advocacy training, Renee found out about the annual Poverty Action at the Capitol event in Olympia, bringing together people struggling to get by on low incomes along with their allies to learn about issues impacting people living in poverty, then guiding them to frame their stories and share them with their legislators, face to face. Renee speaks with Q13 Fox News political analyst C.R. Douglas after sharing her story at a legislative press conference to save TANF. Since her initial experience in Olympia, Renee has been an advocate on fire. In March 2012, she published her story in an Op-Ed in the Tacoma News Tribune and also testified at a Washington State legislative hearing. Thanks to her actions and those of other activists, no new cuts were made to TANF, and some funds were restored to Working Connections Childcare. … As I worked 40-hours per week in a minimum wage position, I struggled to afford paying for basic necessities including rent, utilities, food, childcare, diapers and basic hygiene items. When my meager checks would arrive, I was forced to decide what we had to be without that month. Sometimes that meant no diapers, sometimes that meant no toilet paper or shampoo, sometimes it meant I wouldn’t be able to do laundry that month. Every cent was spent monthly, and I still wasn’t able to afford what it took to survive. Renee says speaking to her legislators is “nerve-wracking, but phenomenal. It’s so wonderful to be on this journey and be able to advocate, not just for myself, but for 60,000 other people in Washington State who really rely on this. There’s a lot of stigma behind welfare recipients and a lot of the things that happen within the system. So I wanted to explain how this program does help. Cutting this would not help anybody, it would just create a bigger problem. For more information about the Statewide Poverty Action Network, visit www.povertyaction.org or email info@povertyaction.org. Solid Ground celebrates a great victory for renters in Washington: On Monday, March 11, 2013, the Washington State Senate moved one step closer to making landlord-tenant laws more fair and just for tenants. The Senate voted on the Fair Tenant Screening Act, and with true bipartisan support they passed SB 5568 with a vote of 46-3. This is a huge step toward making sure that domestic violence survivors are not discriminated against or denied housing based on a protection order or their history of domestic violence. To hear senators Hobbs, Kohl-Welles and Frockt’s moving testimony on the Senate floor, visit the TVW website for March 11, 2013 Senate coverage, and scroll to 21:30 minutes to watch the 6 ½-minute video coverage. But that doesn’t mean our work is done! 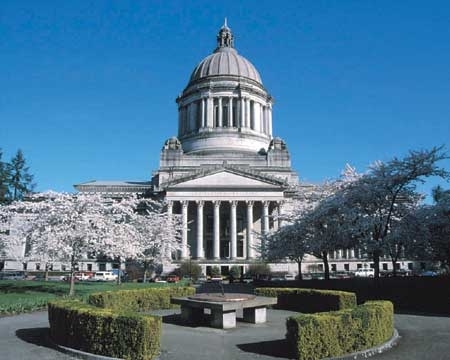 Please send an email to thank Senator Hobbs (steve.hobbs@leg.wa.gov), Senator Kohl-Welles (Jeanne.Kohl-Welles@leg.wa.gov) and Senator Frockt (David.Frockt@leg.wa.gov) for their ongoing support and leadership for the Fair Tenant Screening Act. Thanks to everyone who offered their support of this critical bill by writing emails and letters and making calls. Also, special thanks and congratulations to the advocates who stood strong on this issue and made this victory possible: Washington Low Income Housing Alliance, Tenants Union, Washington State Coalition Against Domestic Violence, Columbia Legal Services and Northwest Justice Project. Join the Statewide Poverty Action Network in Olympia on Martin Luther King, Jr. Day, Monday, January 21. Speak out about the importance of basic needs services, fair housing, racial equality, healthcare and other issues impacting the lives of people across Washington State. 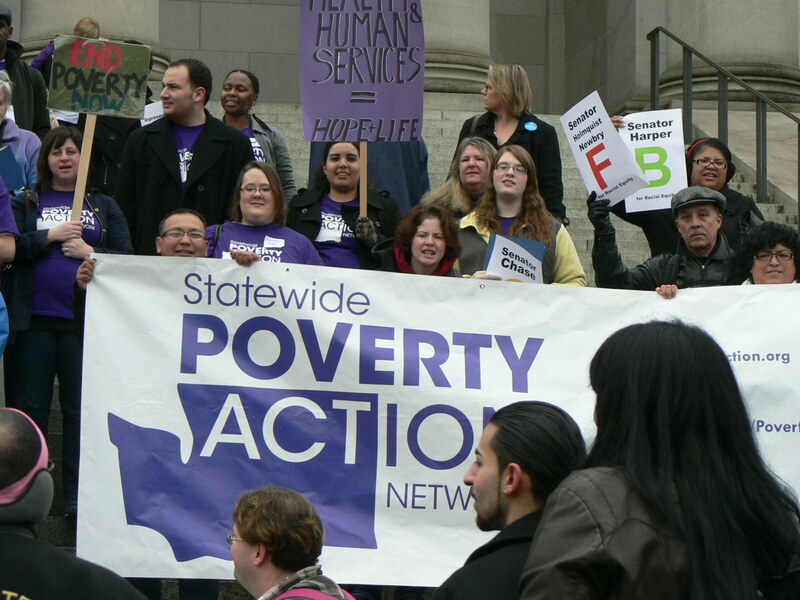 Poverty Action’s annual lobby day brings together hundreds of people from across Washington State. It supports issues brought forward by people from across our state through face-to-face meetings with lawmakers, direct actions, and trainings to take our movement back to our hometowns. This is a great opportunity for both seasoned activists and people who have never expressed their opinions to our lawmakers. Students are especially encouraged to join us and bring the perspective and power of the next generation to the state political process! 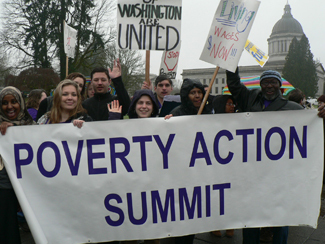 Poverty Action Day at the Capitol – A day of community building, advocacy trainings and exercising political power! The Washington State Capitol, where YOU have the power! Poverty Action has planned a morning of issue and advocacy briefings in preparation for the 1pm rally at the Capitol and group meetings with lawmakers. 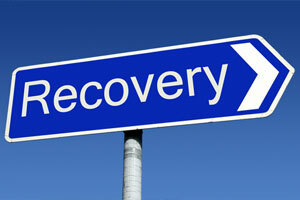 Saving safety net programs by protecting them from budget cuts. Fortifying recent changes in payday lending laws that protect consumers, but are under fire from the industry. Tightening up consumer protections against debt collectors and Zombie Debt. There is free transportation from Seattle to Poverty Action Day at the Capitol (the bus leaves Solid Ground, 1501 N 45th Street in Wallingford, at 7:30am). Breakfast and lunch are provided. Childcare and interpretation services are available upon request. You can register online or call 206.694.6794 (toll-free at 1.866.789.7726). And for more information, visit the Poverty Action website. Tenant Tip: Fair Tenant Screening Act passed! In March 2012, the Fair Tenant Screening Act (Senate Bill 6315) passed in the Washington State Legislature, creating new regulations for how landlords and tenant screening companies can screen prospective tenants. A new section of the Residential Landlord Tenant Act (RLTA) reflects the regulations – and two RLTA sections and one Fair Credit Reporting Act section were amended to include the law changes. SB 6315 goes into effect on 6/7/12. 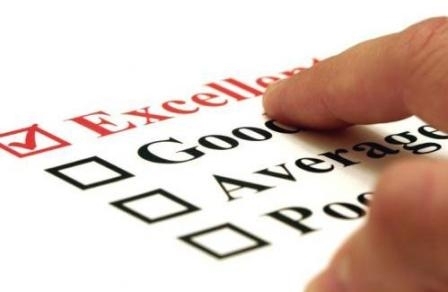 Tenants can only be charged screening report fees if the landlord provides eligibility requirements prior to screening. Before performing a screening or background check on a prospective tenant, landlords must first provide written notice detailing the information they will access to determine if a tenant is accepted or denied housing – as well as what specific criteria can be grounds for denial. If a landlord uses a consumer reporting agency to determine tenant eligibility, they are required to provide tenants the name and address of the agency. Landlords must also inform tenants of their rights to obtain a free copy of the agency’s report and to dispute any errors in the report if they are denied housing or experience other adverse actions. If a landlord does not use a consumer reporting agency and instead screens tenants on their own, they can charge tenants a screening fee – but the fee cannot exceed the standard amount charged by screening companies in the general area. If a landlord denies an applicant or takes any other adverse action against prospective tenants, the landlord is required to provide tenants written notice listing specific information such as: reasons for denial, information used to deny or take adverse action, etc. The notice must include the date, address and signature of the landlord or agent. If a landlord fails to follow the proper steps in conducting a tenant screening, they can be held liable for up to $100 plus court and reasonable attorney fees. These new requirements provide more organized regulations for tenant screening and allow prospective tenants to know what information will be used to determine their acceptance or denial before paying screening fees. However, reports often contain inaccurate and misleading information, and tenants are not made aware of this until after they have been denied housing and paid fees. (Our November 2011 Tenant Screening blog post describes some housing barriers that unfair, misleading and inaccurate screening reports can create for low-income families, domestic violence survivors and many others.) So despite the new regulations, screening costs and misinformation in screening reports continue to prevent thousands of families from getting into housing. A group of stakeholders – including tenant advocates, landlord groups and representatives of consumer reporting and screening agencies – will convene to address tenant screening costs and the information included in screening reports. This group will provide recommendations to the legislature by December 1, 2012. Individuals who have paid multiple screening fees, have been wrongfully denied housing by a screening company or landlord, or face other housing barriers due to tenant screening are encouraged to share their experiences to help influence the recommendations made and increase the regulations to better protect tenants. To find out more about the law changes and how you can share your experiences to make the most beneficial recommendations, contact Solid Ground’s Tenant Advocacy Line at 206.694.6748 or email tenantwa@solid-ground.org.